A selection of my book collection over the years, both at home and at work. 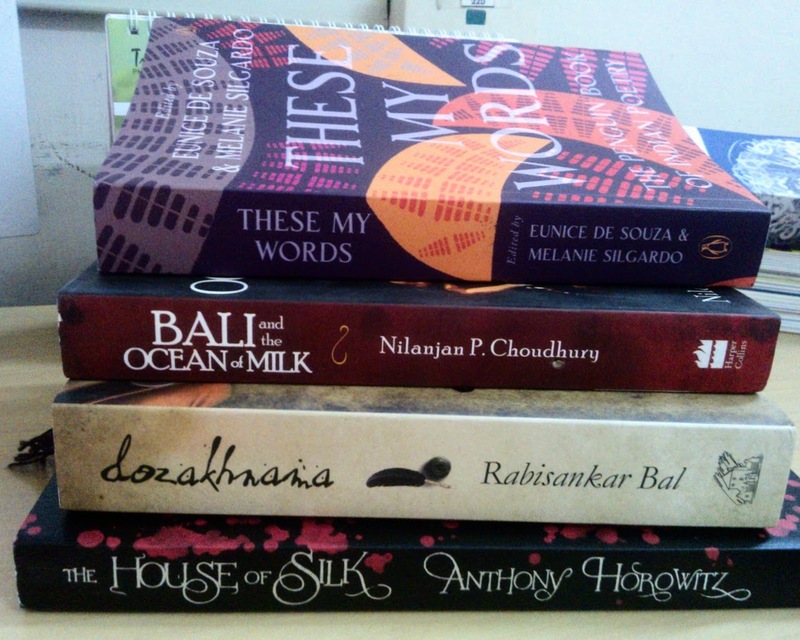 The obvious solution as my Amma (gleefully) and friends (snidely) told me was that I should not buy any more books. And though the suggestion was well-meant, I knew that it wouldn’t work for I cannot. not. buy. books. 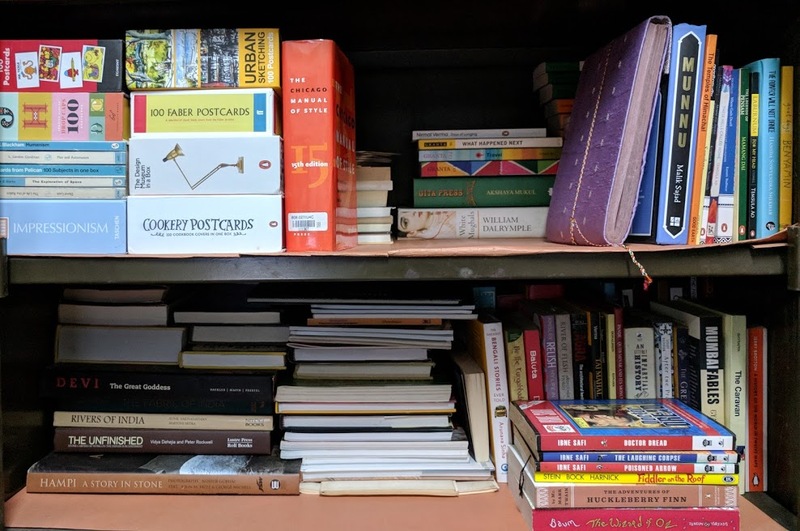 Besides, not buying books was only part of the solution; the decluttering process too had to change with every stage of it being re-looked at for it to succeed. That’s how Project Declutter Bookshelves 2.0 happened. Will I read this book again? 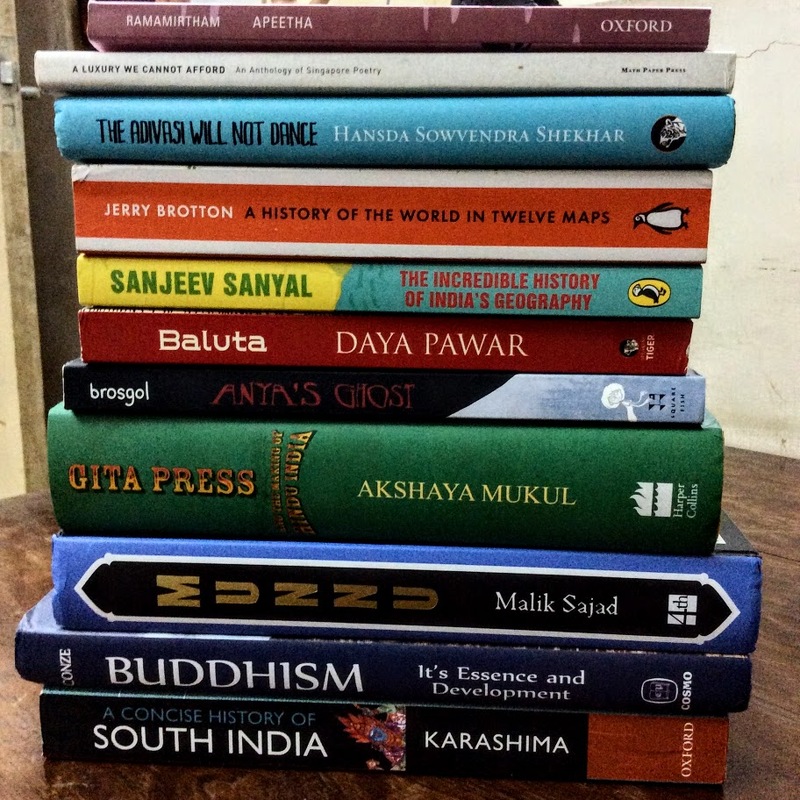 Would any of my friends or acquaintances be interested in reading/having any book(s) from this lot? There was one more question to ask the books to help me with the final round of sorting. Would a University / College library be interested in any of the books? 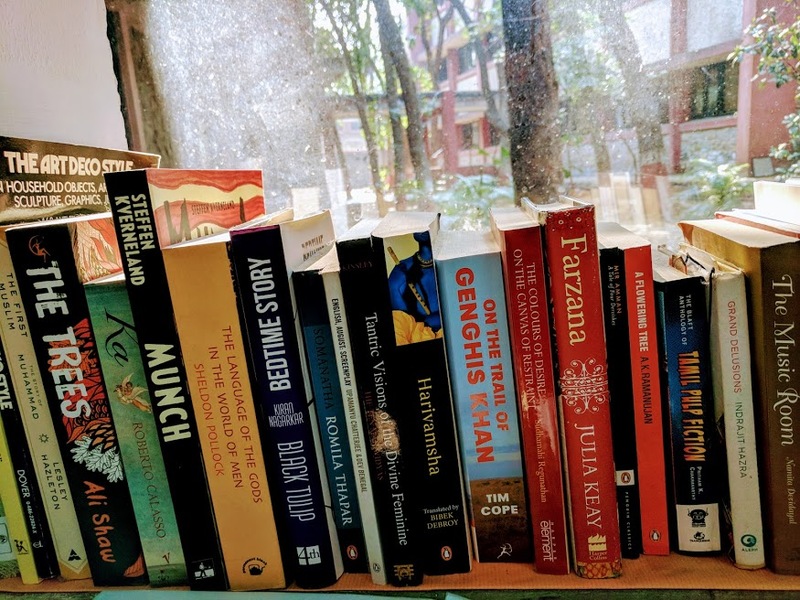 This may be considered to be a strange question, but in my experience not all libraries are open to receiving books as many have gone digital and most have limited space for physical books. 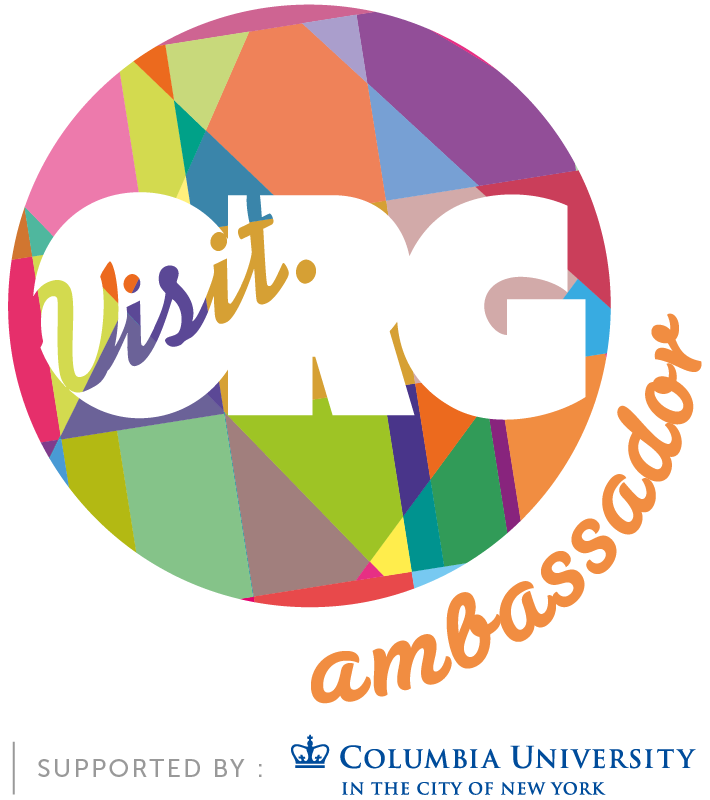 College or University Libraries are different and that’s why I specifically targeted them. This question helped me to donate a number of books to a college library, as well as a University Library in Mumbai. An unexpected outcome of Project Declutter Bookshelves 2.0 was that I hardly purchased any books in the 6 months since it began. I bought only about 8 books as against the usual 40-50 books I would have bought in the same time period. I can’t pinpoint a reason for this other than the fact that I was too busy going through my existing collection and re-reading some of them or reading the ones I had not read till then. I guess it also helped that decluttering was a slow process and not the frenzied one of the past. 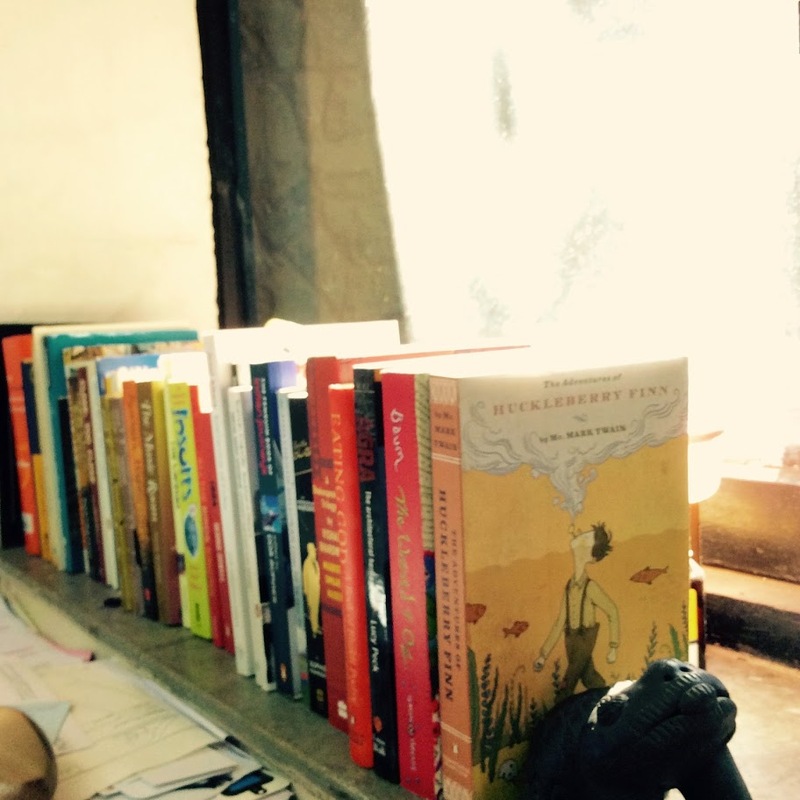 Instead of the need to fill them up, I concentrated on leisurely re-arranging books (I shelve my books genre-wise). That was a BIG Win. The BIGGEST win, however, was discovering the joy that giving books. I have always loved giving away books, but this time it was different. The happiness that I got from finding homes for my books with friends, and the happiness that my friends got from receiving them has been special. The joyous thank you notes from some, the message from a dear friend who wrote to say that he and wife wished I was their personal book shopper, the friend who called and almost squealed my ear drums off, the friend who sent me this picture of reading the book, and more. I’m still undecided about what to do with the books that have not found a home in this round of decluttering, and I’m not in a hurry. In all likelihood they will go to a second-hand bookseller, but this time I’m going to take my time in identifying a good one — a bookseller who will, even if he can’t look at my books with joy, at least not roll his eyes and ask, “Why no bestsellers, Madam? I may just put the books through one more round of finding homes for them among friends, libraries and acquaintances. The joy of giving books is very addictive. It is important to find the declutterring process suited to you. What I have written in the post is what worked for me; you may need to find one that works for you. Also, I don’t think the number of books really matters; space does. Maybe if I had a larger house and more space, I may not have felt the need to give books away. This is only conjecture though, and I’m still thinking about space and possessions in a larger context, not to mention materialism, hoarding tendencies and what not ! 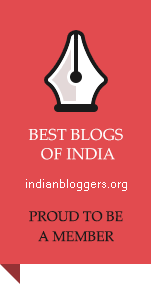 I have always admired your collections and taste Sudha..Please let me know in case you have some books to give away.. Thank you, Paatiamma. What kind of books do you like to read? Do let me know. I like reading on history travel and cuisine and a bit of spirituality..I would be ready to pay a handed down well appreciated book. I wanted to suggest was that you give away books to orphanages, old folks’ homes, prisons, school & college libraries. You’ll be surprised what an impact they could have with readers there. I’ve given children’s books to an all women’s prison program. It was seen as a good way for the inmates — many of whom are mothers — to spend quality time with their kids during visiting hours. I have tried giving away books to various kinds of organisations and have found that only college and university libraries really appreciate them. Schools, surprisingly, have not been very receptive to the kind of books that I want to give. They are more keen on encyclopedias and similar sets, which I don’t have. Orphanages and old age homes look for magazines and help with subscribing to periodicals and I help them with that too. 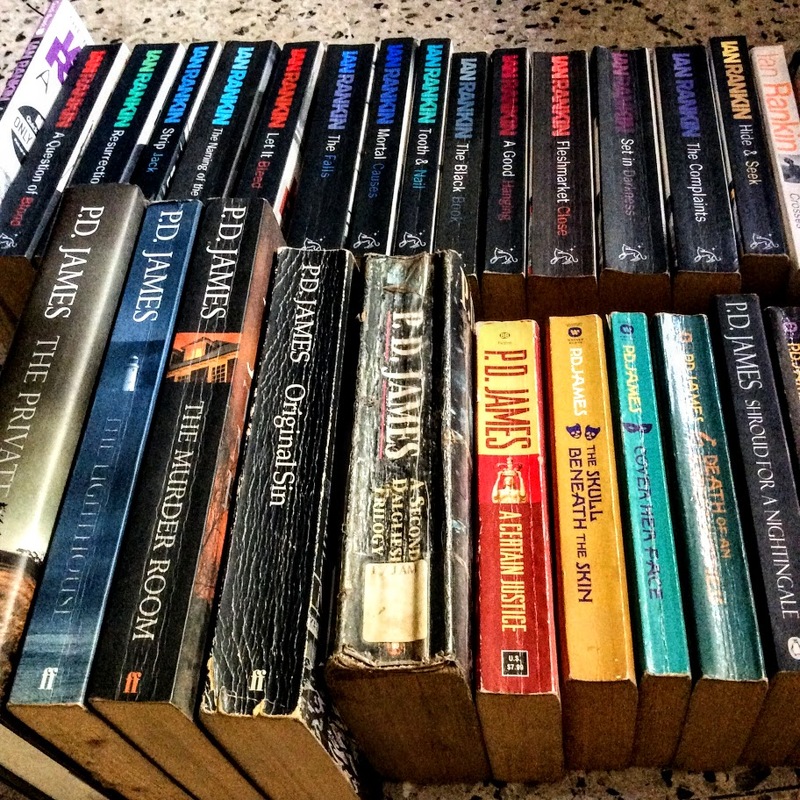 Recently, there was a donation drive to give books for a women’s prison in Mumbai. But they were looking for books in Hindi and Marathi, which I don’t have so I bought some for them. What a fantastic collection. I’m very tempted to try out your technique. Will I ever read this book again? Hmm..maybe not, but I still want to keep it!! Am I there in the second list??? Happy decluttering! I have done this many times over the decades since I started buying books. Now I have just the books that matter to me in some way. Most of my fiction has been given away and the ones still with me are mostly children’s books. I doubt there will be a need for PDB V3.0, for PDB V2.0 has worked quite well for me. Mayve tweak it with a few updates here and there to make it PDB V2.1 or so. Hello Divya. Thank you for stopping by and commenting. Yes, I do have quite a collection, which is both thrilling and unwieldy at times, depending on how one is looking at it. The decluttering exercise is just the beginning of a long process to bring some semblance of order and control to it. But there is a long way to go. Your collection is fabulous! Maybe you should open up your own Bookstore. I don’t know about you, but the best second-hand Book Sellers I have found are at Flora Fountain. Do check out our article on Flora Fountain’s Book Street. Welcome here, Kaccha limbu. Thank you so much for stopping by and commenting. For me, the best second hand book sellers have been at King Circle in Matunga. Not had very good experiences with the ones at Flora Fountain.